Over the past few weeks RanchSeeker has focused on several popular guest ranch destinations in the USA and we have also highlighted lots of great ranches in those areas. Our first blog post highlighted Arizona, California, Colorado, Georgia and Idaho. Then in our 2nd blog post we featured Montana, New Mexico and Wyoming. For our final blog post about “Where Should I Go on My Next Ranch Vacation?” we will be focusing on the following destinations and guest ranches located in Canada. When you think of “ranches,” “old west” and “cowboy,” the province of Alberta, Canada, may not come immediately to mind. But all that will change when you discover the variety of Alberta dude ranches that welcome guests each year. In fact, Alberta has a long history of western traditions and is well known throughout much of the western U.S. for their ranching background and cowboy heritage. From the border of the Northwest Territories to the southern border with Montana, Alberta’s landscape holds something for everyone: rivers, lakes, badlands, the Rocky Mountains and even glaciers! Alberta ranch vacations take full advantage of this province’s magnificent geography. Alberta dude ranches offer activities for every member of the family: horseback riding, cookouts and barbeques, nature trails, white water rafting, wildlife viewing, golf, pack trips, photography outings, fly fishing, mountain biking, birding, cattle drives, hiking and so much more! Alberta ranch vacations create memories that will last a lifetime! Ranches in Alberta attract visitors with their national park system, dinosaur digs and the fact that the province has 5 of the 13 UNESCO World Heritage Sites. Imagine visiting the Dinosaur digs in the Alberta Badlands in the morning, working on the Alberta ranch with the cowboys in the afternoon, and relaxing in the evening in the hot tub. You can do all this, plus more, at an Alberta ranch. At many Alberta ranches you can choose an independent schedule and explore on your own, or have the ranch arrange activities for you including horseback riding, fishing trips, and city tours. 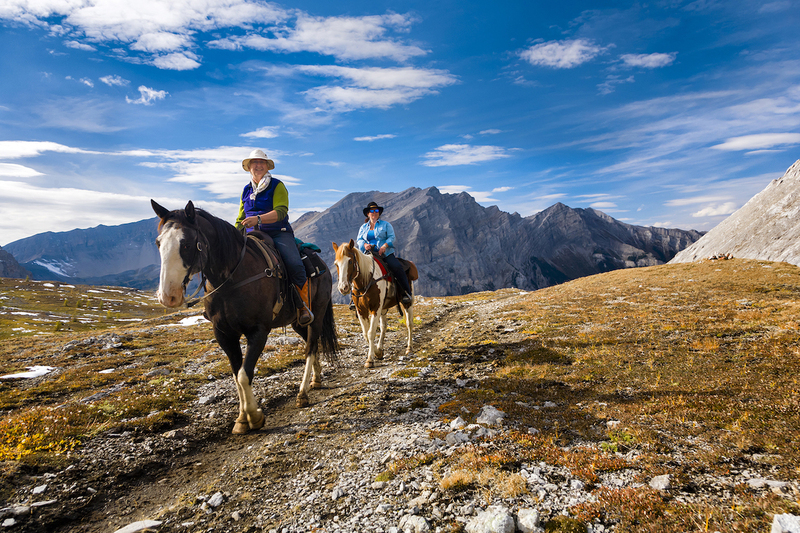 For a once-in-a-lifetime experience check out Banff Trail Riders. One excellent way to enjoy all that this special province has to offer is a BC ranch vacation. 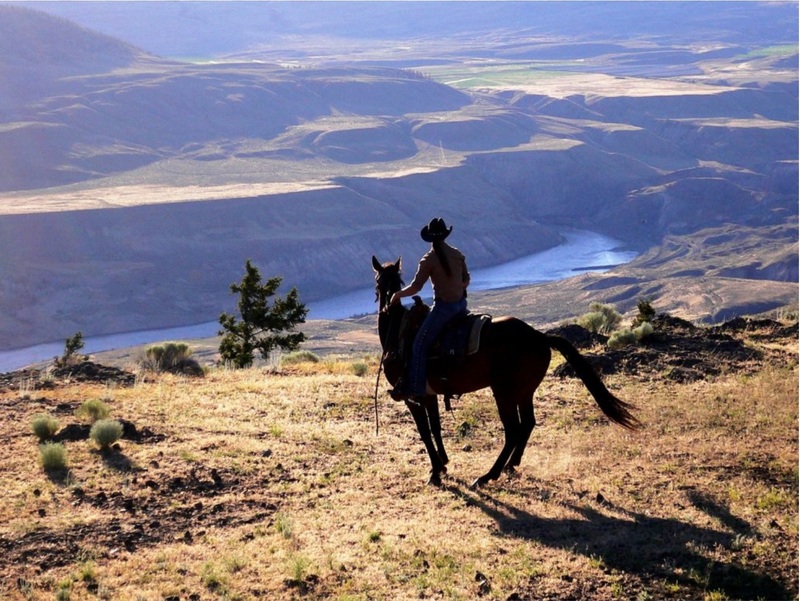 This portion of western Canada is home to many BC dude ranches, each of which is set against the spectacular backdrop of Canada’s natural beauty. From the rolling hills of the Cariboo to the foothills of the Canadian Rockies to the Coastal Mountains and throughout this spectacular province is sure to provide your family with memories that will last a lifetime. Imagine going for a morning fishing trip, spending the afternoon exploring early settler or local Native heritage sites, and relaxing in the evening with your ranch staff and fellow guests. All this is possible when you visit British Colombian Ranches. Your ranch may also organize horseback trips, cattle drives, pack trips, canoeing, and a wide range of outdoor activities for you during your stay. Be sure to ask about winter options as well. It’s no wonder that so many people travel to British Columbia each year to enjoy the stunning natural beauty of this western Canadian province. From majestic forests to breathtaking mountain vistas to magnificent seascapes and more, BC offers its guests and residents some of the most incredibly stunning scenery available anywhere in the Northern Hemisphere. British Columbia dude ranches take advantage of the “beautiful BC” landscape and the rich local Native history to attract visitors. 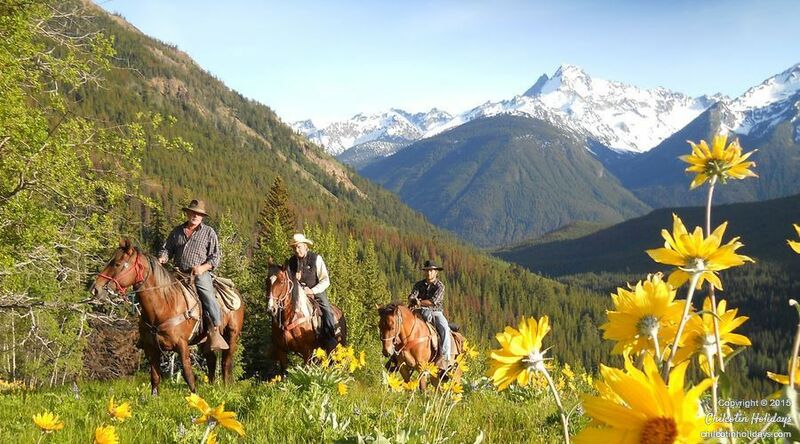 Check out these Super Natural BC guest ranches: Chilcotin Holidays, Echo Valley Ranch & Spa, Three Bars Ranch and Sundance Guest Ranch. Don’t forget that RanchSeeker’s website provides several ways that you can search for your dream western vacation all of which are user-friendly but if you prefer you can also contact Ashlie@ranchseeker.com for additional assistance. Be sure to subscribe to our blog so that you don’t miss out on other interesting guest ranch related posts.